Traveling and eating out during the holiday period can be tricky as Italians themselves want to spend the main holidays with their families. There are many restaurants that will be open on the 24th and for lunch on the 25th as well as for New Year’s Eve (most restaurants offer a single “cenone” dinner at a fixed price and lasts well past the midnight toast. We recommend you make your restaurant reservations as soon as you can if you already know you’ll be here and dining out on those days, especially for New Year’s Eve. Here are a few of our favorites – if you already have another favorite, it would be best to get in touch and find out what their hours will be. Osteria Belle Donne – casual, fun place to eat at, quite cosy and small. From December 24 to January 2, the restants will always be open except for the 25th. (Via della Belle Donne 16r, Tel 055 238 2609). Cavolo Nero – in the Oltrarno area, this restaurant offers local ingredients in creative dishes. Open generally only for dinner but will be open for Christmas day lunch and on New Year’s Eve with a fixed menu of 100 euro per person. (Via dell’Ardiglione 22, Tel. 055 294 744). Trattoria 13 Gobbi – Always open from December 24 to January 2 except for Christmas day dinner. Check out their plan for New Year’s Eve dinner celebrations. (Via della Porcellana 9r Te. 055 284 015). 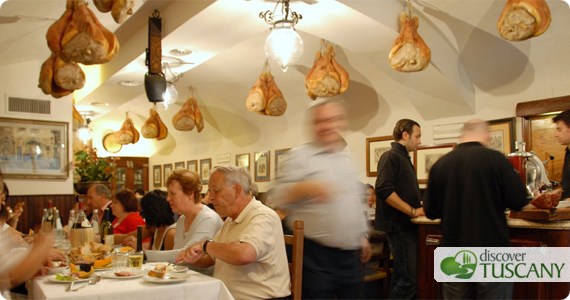 Trattoria al Trebbio – warm, informal trattoria with friendly waiters. Open on the 24th all day, on the 25th only for lunch and on the 31st on a first seating regular menu, second seating with a special dinner. (Via delle Belle Donne 49r, Tel. 055 287 089).